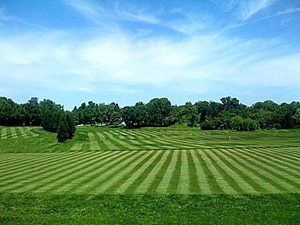 Hidden Creek’s golf practice facilities are perfect for golfers of any caliber - from the beginner to the junior, to the top amateur or aspiring professional. Members enjoy a new Bermuda grass driving range tee which provides the best possible conditions during the golfing season. The short game practice area features two large greens, one for chipping and pitching, the other for working on those pesky 4 footers. 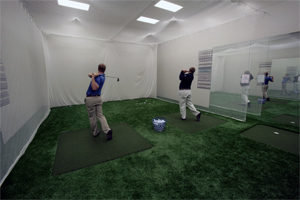 In the off-season, visit the indoor practice facility which offers 2 hitting bays, swing and ball flight analysis software, and a small putting green. The facilities are backed by an experienced staff of PGA teaching professionals dedicated to helping our Members get more enjoyment from the game. Individual and group lessons are taught by Brendan McGrath, Director of Instruction. Brendan is both an accomplished teacher and player, qualifying for the 2017 Sr. PGA Championship. For more information, please contact the Golf Shop at 703.437.4222.